The Night Before St. Patrick's Day by Natasha Wing is a cute story to enjoy for St. Pat's. 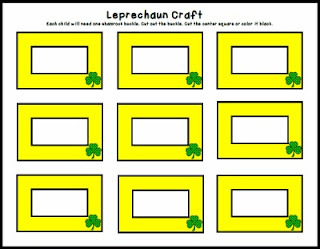 In this story, a boy and girl hope to catch a leprechaun in order to locate his stash of gold. They set leprechaun traps and finally catch one. But the leprechaun is tricky. Will they find his gold? My boys have been really interested in hat making lately. 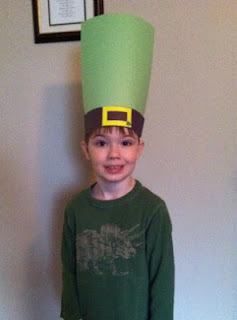 So after reading, The Night Before St. Patrick's Day, we had to make leprechaun hats. 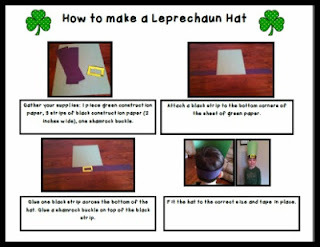 We made these super simple leprechaun hats with 1 piece of green construction paper, three strips of black construction paper (2 inches wide), and a shamrock buckle. 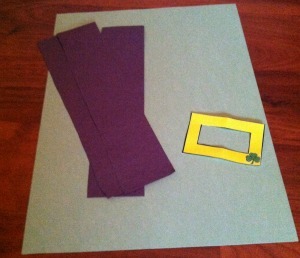 We simply taped two strips of black paper to the bottom corners of the construction paper. 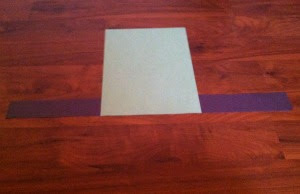 We glued one strip of black across the bottom of the green paper. 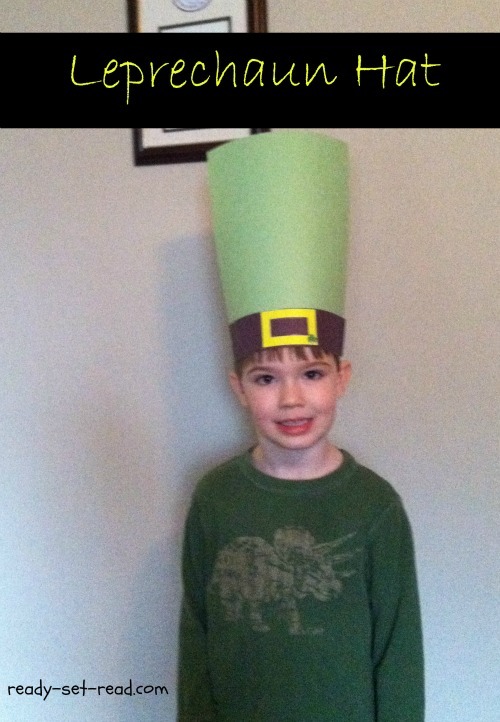 Then we glued shamrock buckles onto the hat. I fit the hat to Logan's head and taped it together. Staples also work nicely for hat making! 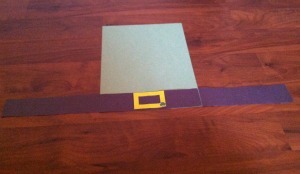 You can print the buckles we used in this free printable. 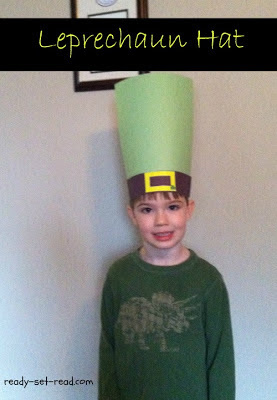 There are also directions for creating the hat. 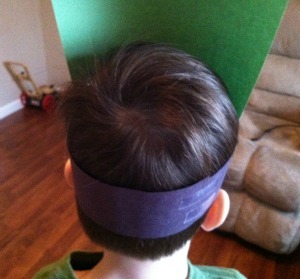 Some readers may be able to read and follow the directions independently to create the hat. Another fun St. Patrick's Day activity is hunting for pots of gold. 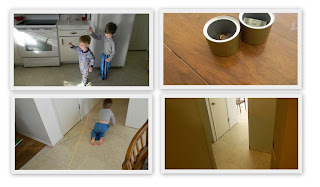 Last year the boys loved this rainbow yarn scavenger hunt. After finding the pots of gold, we sorted the money by penny, nickle, dime, quarter, dollar. I think this year, they will do the scavenger hunt in their super lucky hats!